The following three spots are the best spots within your budget. The prices listed are for the entirety of your stay. Read more below! Old Turkish- shawarma including camel kebabs are a must! The best Shawarma in town can be found at Old Turkish which is also one of the few places open 24 hours. Ubhar Bistro - a well reviewed local spot for dinner. MUST TRY’S - as mentioned shawarma and camel kebabs are a must; besides that grab a cup of corn from street vendors for a piquant snack; and if you’re not a big meat eater (there is a lot of meat served in Oman) go for the Omani version of a samosa called sambusa. There are also plenty of fresh juices to be found! Dolphin Sighting Cruise - Oman is actually a great place to dive and snorkel with abundant wildlife and that includes spinner dolphins. They are present all year and while sightings can’t be guaranteed they are very likely! Forts of Nizwa - take a day trip to nearby Nizwa and it’s beautiful and historic fort. 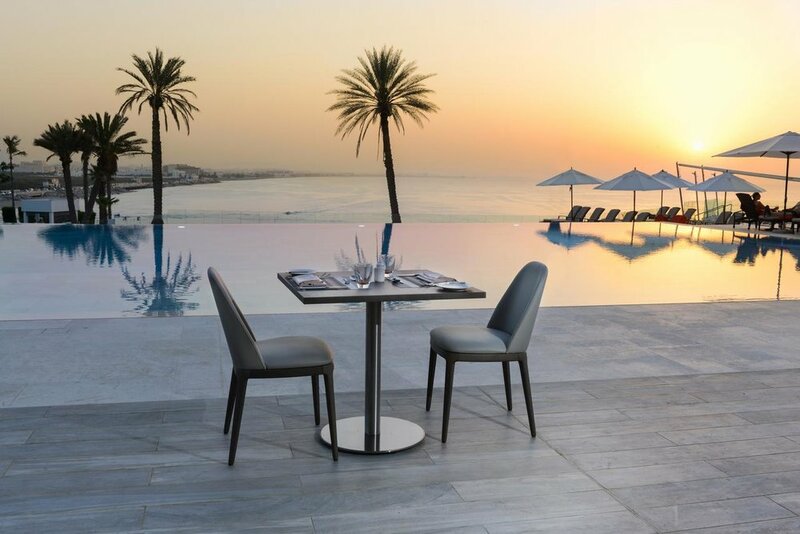 Al Bustan Palace Hotel - One of the most well known hotels in Muscat, the pool is a top instagrammable spot.Even if not for the Gram, still be sure to visit this incredible site! The Royal Opera House- well known for its beautiful architecture, this building boasts an exterior that makes for amazing reflections and that indicative white look found all over Muscat. Symmetry and opulence make this absolutely ‘gram worthy. Alila Jabal Akhdar Hotel -This secluded hotel between Muscat and Nizwa is actually listed as one of the world’s top instagrammable hotels. Situated in the mountains with a beautiful infinity pool and rustic construction, it’s easy to see why! Get any super cool shots?! Share them with me @life.by.linda to get featured! Currency- the Omani Rial is roughly $2.60 making it one of the strongest currencies in the world. It comes in 1/2 rial, 1 rial, 5, 10, 20 and 50 rial notes, as well as the small money called baiza (1,000 baiza = 1 Rial). Some places do accept cards these days but there are also ATM’s all over the city (especially in the malls) NOTE: the airport ATM’s have been known to be out of cash, so be sure to arrive with some. Visa - You can now apply for the tourist visa online (https://evisa.rop.gov.om/) which will save you about 2 hours or so waiting in line at the Muscat airport visa counter. NOTE: A One Month Single Entry Visa is 20 Omani Rial (52 USD) and a 1 Year Multi-Entry Visa 50 Omani Rial (130 USD). Attire - Oman is an islamic and very conservative country; while they don’t expect visitors to dress in the traditional attire, it is respectful to dress moderately. Covering shoulders and legs is appreciated and women should carry a scarf with them to cover up the head especially in Mosques. Alcohol - Alcohol and nightlife can generally only be found in the international hotels, and the drinks will be expensive! 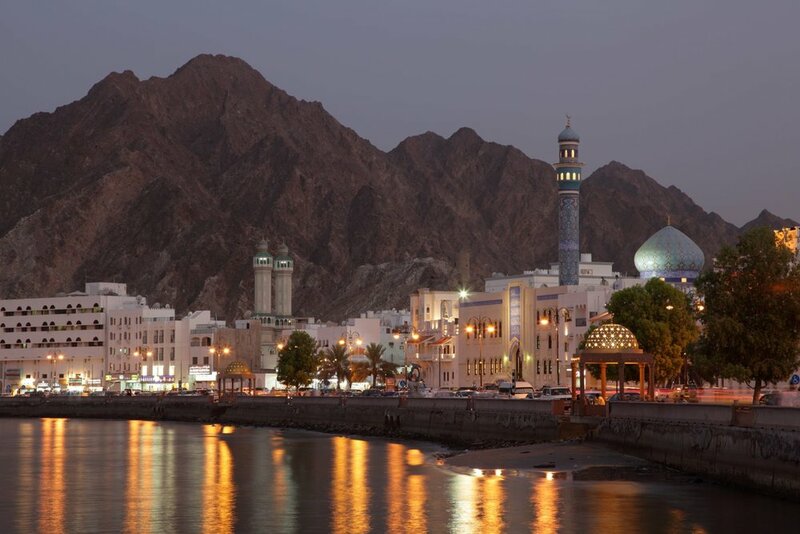 A week long alcohol detox might just be the thing in Oman. Traditions -Dates and the local coffee (called Kahwa) are generally given as a sign of hospitality, which is a big part of Omani culture. If you as a guest are offered a bag of dates or desert it is polite to accept. Important - Important to note is that the weekends fall on Friday and Saturday in Oman. This means museum, shops, and restaurants can be closed. And if you are planning on some day trips, many families will also be seeking these activities on the weekend days. 4. 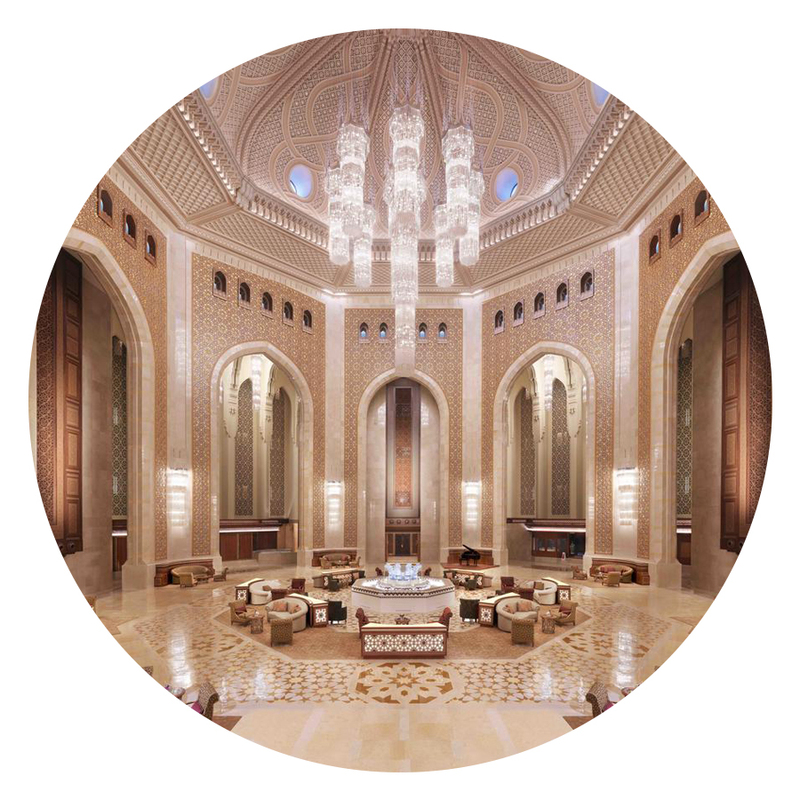 Take a walk around the Grand Mosque, which is the top tourist destination in Muscat. Tourists are only allowed to visit between 9-11am so plan accordingly. It is also closed to non-muslims on Fridays. 5. 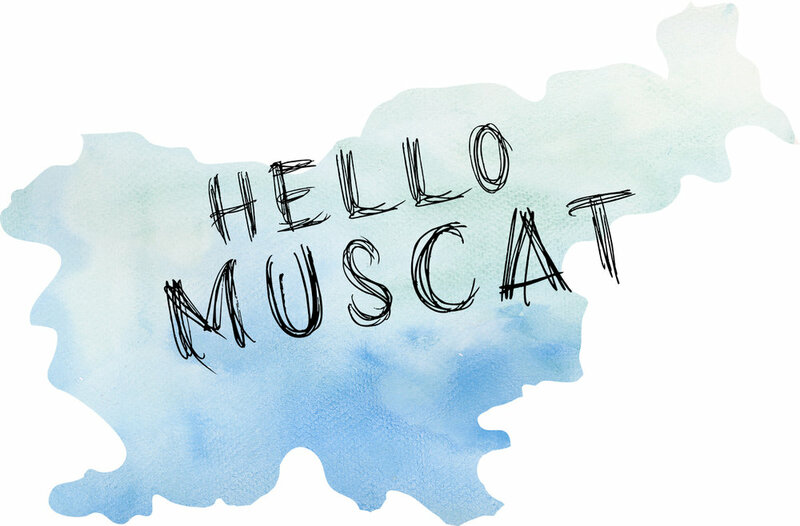 Not exactly free, but a great way to see the city if you decide not to rent a car, is hire a taxi driver to take you through old and new Muscat. If you have a bit of flex in the budget and want to have a truly memorable experience, add a Wahiba Sands overnight adventure to the itinerary. You can rent a 4x4 and drive to the desert or go with a guide (recommended). You will stay in a Bedouin Camp, watch the sunset over the sand dunes, and enjoy an evening by the campfire in the middle of the desert. The dune drives included are also meant to be phenomenal fun. 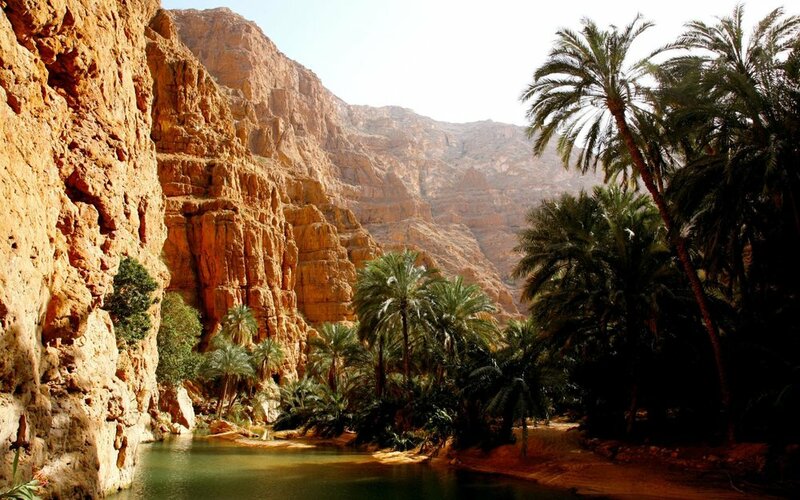 Packages start at $100 per person and often include a stop at Wadi Bani as well.